Have a look at the range of mining and demolitions tools that we have at WearForce North America. From attachments and portable compressors to bucket teeth, new and used hydraulic hammers and much more for sale in the USA wide and Canada. 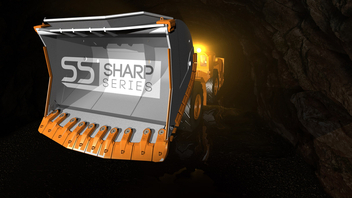 Mechanically attached shroud system for LHD Underground Machines. All kind of working tools for different brands. 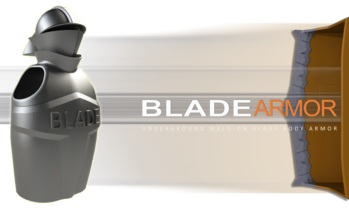 A full line of cutting edges for almost any kind of bucket. The most widely used styles of bucket teeth. The safest couplers on the market. 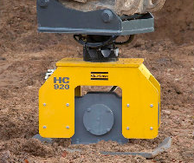 A full line of hydraulic compactors. 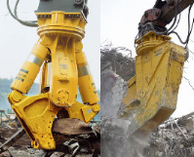 All kind of combi cutters, bulk pulverizers and other demolition tools in one shop. 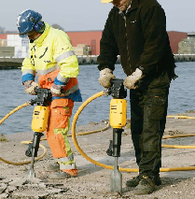 A complete range of pneumatic tools for all kind of work. 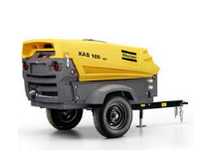 A full line of portable compressor for all kind of needs. Custom line groups installations for all type of machines. 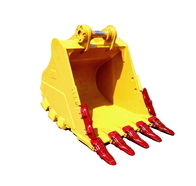 Buckets, hydraulic & manual thumbs, forks, grapples, rippers... for any machine. A full line of hydraulic and pneumatic hammers.